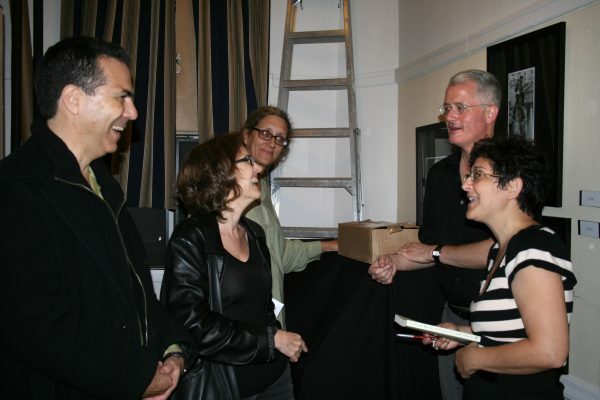 From left: Kenneth Swezey, Laura Lindgren, Malaga Baldi and Don Weise following a reading from CALLED BACK in Manhattan. Award-winning author and educator, Mary Cappello is a seasoned and engaging reader and a generous interlocutor. She has performed her work, given guest lectures, led seminars, participated in panel discussions, run workshops, made class visitations, and spoken to book groups for many years across the nation and across the world. Mary Cappello is represented by the Malaga Baldi Literary Agency; for further Media Inquiries, contact Levi Stahl, Promotions Director, University of Chicago Press, levi@uchicago.edu.